The last time I analyzed W W Grainger Inc (NYSE:GWW), I was impressed by the company’s clear growth plan and strong expected total returns. The company’s growth plan – which is discussed in detail in this article – along with its reasonable valuation and 43 years of consecutive dividend increases make the company a favorite of The 8 Rules of Dividend Investing. W.W. Grainger stacks up favorably to most other dividend growth investments at this time both qualitatively and quantitatively. I am long W.W. Graingerand plan to hold the company’s stock indefinitely. I suggest other dividend growth investors consider W.W. Grainger as well. Among some 730 funds tracked by Insider Monkey, a total of 16 held long positions in W.W. Grainger at the end of June, amassing 6% of its outstanding stock. In the current round of 13F filings, Nigel Greig and Kenneth Cowin‘s Gabalex Capital reported holding 180,000 shares of the company as of the end of September. 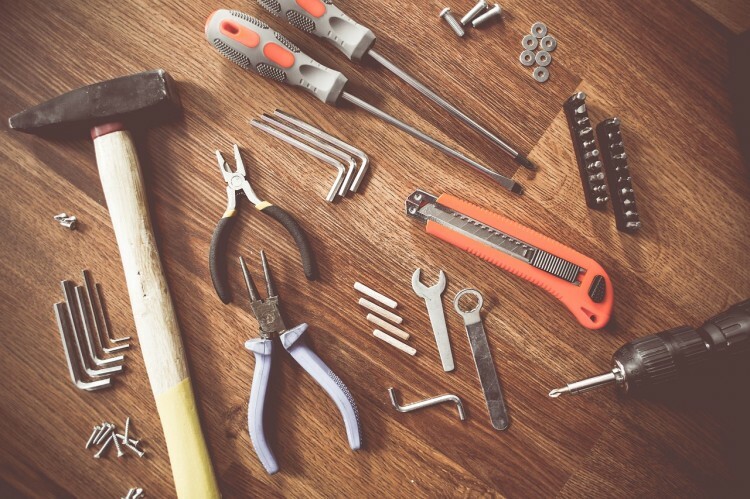 W.W Grainger (GWW) is the leader in the United States maintenance, repair, and operations (abbreviated MRO) supply industry. The company has a network of 713 branches and 34 distribution centers. The bulk of the company’s supply chain is based in the United States and Canada. Before examining W.W. Grainger’s future growth potential, it is important to understand how quickly the company has grown historically: W.W Grainger has grown its earnings-per-share at 15% a year over the last decade. 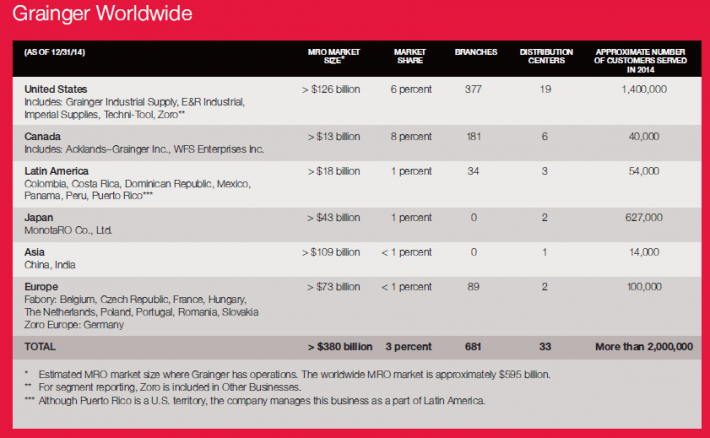 With its small market share relative to the large MRO market, W.W. Grainger has many decades of growth ahead. The company’s well-established supply chain gives it a strong competitive advantage. W.W. Grainger can offer next day ground delivery to more than 95% of its customers in North America. W W Grainger Inc (NYSE:GWW) is also focusing on international e-commerce growth to grow revenue. The company is taking advantage of Japan’s small geographic size and dense population to quickly build a viable distribution network in the country. The Japanese MonatoRO MRO e-commerce site served over 600,000 customers in 2014 – and is still growing rapidly. W.W. Grainger is expecting sales of $500 million from MonatoRO in fiscal 2015. The company expects to double sales from MonatoRO to $1 billion in just 5 years. This is not unprofitable growth. MonatoRO has a ROIC (return on invested capital) of around 40%. W.W. Grainger’s European e-commerce operations are also performing well. European sales are expected to grow from a very small base currently to about $200 million a year by 2020. The company’s e-commerce operations are also expected to grow rapidly in the United States. Sales are expected to more-than-triple from $300 million currently to $1 billion over the same time period.